Jimmy Carter kept a diary during his White House years. His original diary notes and dictated daily personal observations were later typed by his personal secretary (Susan Clough) and filed in large binders. 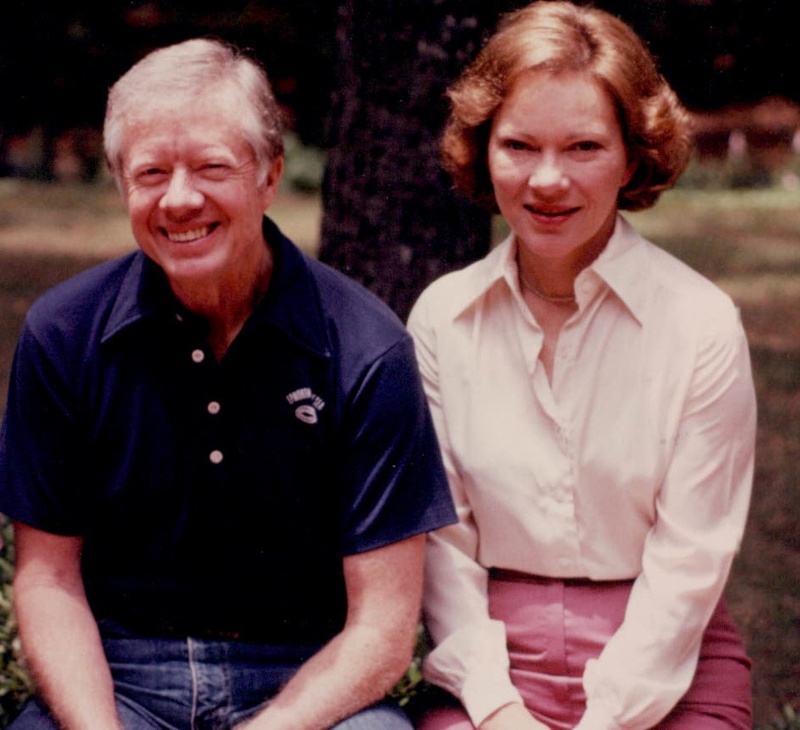 In February, 1981, as the former president and Rosalynn began their post-White House life back home in Plains, Georgia, they were surprised to find that the large binders had become twenty-one large volumes. The original copy of these twenty-one volumes remains in Plains, where the Carters have continued to live since leaving the White House. Another copy is “sequestered” in the Carter Presidential Library and Museum in Atlanta. The Carters have traveled extensively since they left the White House, operating out of the Carter Center to address health care problem in the developing world, conflict resolution within and between nations, monitoring voting in new democracies, and the building of houses, oftentimes with hammer and nails in hand. In between these trips there have been frequent book tours since both Carters have been prolific authors. Jimmy Carter’s latest book tour was interrupted after he complained of not feeling well on a flight into Columbus, Ohio. Doctors determined that he had a viral infection. After a two day hospital visit, the former president continued his book tour. White House Diary is very much in the style of Jimmy Carter’s earlier books, Carter unvarnished. He writes like he talks, directly, without pretense. His only regret regarding his latest book, he says, is that he had to “omit three-fourths of the diary”. Until now, none of the diary entries have been revealed except when snippets have been used in museum exhibits or when I have quoted brief excerpts in some of the books I’ve written about official matters. Despite a temptation to conceal my errors, misjudgments of people, or lack of foresight, I decided when preparing this book not to revise the original transcript, but just to use the unchanged excerpts from the diaries that I consider to be the most revealing and interesting. One afternoon, while reading Carter’s diaries and his annotations that put the entries in context, I put the book down and made a quick calculation. Barack Obama was 15-years-old when Carter was elected president, 20 years-old when the Carters moved back to Plains. Four presidents, three Republicans and one Democrat, have served as the nation’s president since Carter. 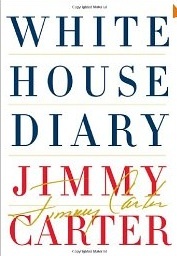 It is our loss that Obama did not have Carter’s diary entries to read before he entered the White House in 2009. He has them now in this new book. Obama should certainly benefit from Carter’s March 21-22, 1978 entries, written during a visit in the White House with Israeli Defense Minister Moshe Dayan and Israel’s newly-elected Prime Minister, Menachem Begin. Begin’s attitude toward his Palestinian neighbors were fully understood by Carter 32 years ago. Israel’s plans for its own expansion, at Palestinian expense, have remained consistent since 1978. Most of the time they have remained hidden behind diplomatic double-talk negotiations. They have also been increasingly embraced by an Israeli-friendly Congress and influential White House staff aides, the latest of whom, by the way, Rahm Emanuel, has just left his White House job to return to Chicago to run for mayor. March 20: When I returned to Washington Monday evening, we had a meeting on the enhanced radiation weapons. A lot of momentum had been generated to produce and deploy these neutron bombs. My cautionary words since last summer have pretty well been ignored, and I was aggravated. The general sense is that it protects buildings and kills people. That’s a gross oversimplification, but I decided to work out a way to cancel the idea without giving an image of weakness to our European allies, who don’t want it anyhow. March 21: The response was excellent regarding our resolution calling for Israeli withdrawal from Lebanon. As Goldberg pointed out last night, this is the first Security Council resolution the U.S. has successfully sponsored in more than ten years. The Israelis did their best to prevent our sponsor-ship of the resolution. They grossly overreacted in Lebanon to the terrorist attack on some Israeli citizens, destroying hundreds of villages, killing many people, and making two hundred thousand Lebanese homeless. I met with Begin [and Dayan] and had an intense discussion of all the issues. they’re not willing to withdraw politically or militarily from any part of the West Bank; not willing to stop the construction of new settlements or the expansion of existing settlements; not willing to withdraw Israeli settlers from the Sinai, nor if they stay to permit UN or Egyptian protection for them; not willing to acknowledge that UN Resolution 242 applies to the West Bank/Gaza Strip area; and not willing to grant Palestinians a voice in the determination of their own future. Begin said this was a negative way to express their position, but didn’t deny the accuracy of any of it. For the first time, over their strenuous objections, the true position of the Israeli government was revealed. Dayan tried to put the best face on the Israeli position. That they did not want to have any political control over the Arab population. He went as far as he could to leave some hope open without being disloyal to Begin. Barack Obama inherited this hard line Israeli stance, now supported strongly in US ruling circles, just as much as he inherited the economic disaster that eight years under President George W. Bush brought to the American people. The challenge now facing Obama is how to confront these two disasters, economic disaster at home and two wars abroad, both of which were largely precipitated by Israel’s refusal to reach a just agreement on how to live as neighbors with Palestinians. 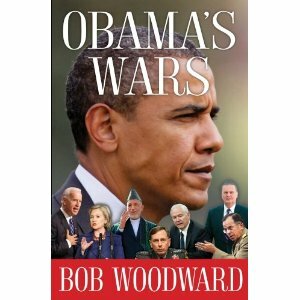 After reading White House Diary, I turned to another new book, also just published, Obama’s Wars, written not by a participant, like a sitting president, but by Washington Post journalist, Bob Woodward, who has developed an ability to convince participants in White House power struggles to tell Woodward their version of what happened behind closed doors of rooms where White House decision-making occurs. As MSNBC host Lawrence O’Donnell said recently in a television interview with Woodward, those participants are eager to tell their version of what has happened to Woodward, knowing that their opponents in the power struggles will be doing the same. O’Donnell should know; he was once the staff director of the U.S. Senate Committee on Finance, and a legislative aide to New York Senator Daniel Patrick Moynihan. The value of all this behind-the-scenes research by Woodward is that what he turns up, will enable us to anticipate what might happen next in Washington. For example, now that Pete Rouse has been named to succeed Emanuel as Obama’s Chief of Staff, who will replace Rouse, a question that must be asked since Rouse has insisted he only wants the COS job on a temporary basis? One possibility is Tom Donilon, currently Obama’s Deputy National Security Adviser, under General James Jones, Obama’s NSA Director. Jones has indicated he wants out after the mid-term elections. If he has any say in his successor, which as Woodward writes, has been the case in previous military positions he has held, it won’t be Tom Donilon, currently one name high up on the lists of most DC pundits to succeed Jones. Donilon was recommended to Jones in 2008 by Rahm Emanuel to serve as Jones’ Deputy. Donilon came with a strong resume. From 1999 to 2005 he was a registered lobbyist working for Fannie Mae. Donilon has also spent time inside the White House, serving President Clinton as the assistant secretary of state for public affairs and as chief of staff for Secretary of State Warren Christopher. As such, Donilon oversaw foreign policy initiatives, including the Balkan peace negotiations and the expansion of the NATO relationship between the US and China. Jones’ successor does not need to undergo Senate consideration, which would help Donilon, since Senate questioning could be a problem for a Fannie Mae graduate. Nevertheless, according to Woodward, Jones developed a dislike for his deputy, who, while a skilled diplomat and hard worker, has never served in the military, and again, according to Woodward, Jones did not like the fact that Donilon has never visited either Iraq or Afghanistan. Which suggests, perhaps, given the fact that Emanuel and Donilon are close friends, a friendship that led Emanuel to relate more directly to Donilon than he did to Jones, Donilon could be named as Obama’s Chief of Staff, a position that does not require Senate conformation. Which brings us back to the White House Dairy. I was the Carter campaign delegate chair for the Illinois delegation at the 1980 Democratic Nominating Convention. I had worked closely with a young Tom Donilon, then 24 years old, who was President Carter’s national delegate director, to select candidates for Carter delegates in Illinois. Tom was the campaign’s final arbitrator on who could run as a Carter delegate. We spent many hours at night and on the weekends (I had a day job, which was not political) arguing over which Illinois party chairman and which Carter loyalist could run as a delegate and which had to be dropped. It was a touchy job. Ted Kennedy was still trying to unseat a sitting Democratic president, right up to and including the convention, a fight that some observers feel had a negative impact on Carter’s general election run against Ronald Reagan. The Kennedy delegates, under the direction of Harold Ickes, Jr., the same advisor who, 28 years later, managed Hillary Clinton’s 2008 delegate strategy against Barack Obama, took the 1980 Democratic Convention down to the final vote on a delegate rules battle, the “loyal delegate” issue. Monday evening, the convention began. There were heated debates on the rules question. When the vote came, we did better than we had anticipated, getting 1,935 votes–about a 700 plus vote over Kennedy. He called me shortly afterward to say he was going to withdraw his name from contention. I asked him if he was going to to endorse and be on the platform with me Thursday night. He said that would depend on how we worked out details of the platform. Kennedy did issue a belated endorsement, but on the final night of the convention, he embarrassed the president by stalking around the platform for an extended period before finally coming up to Carter to jointly raise their arms in the traditional victory signal. From delegate rules fights to searching for Middle East peace, the issues have not changed that much. Young staffers grow older and stay on the job. I don’t know if Donilon has the same intense zeal for Israel as Rahm Emanuel, but I do know, from personal experience, that Donilon is a hard worker who learned early how to be diplomatic with Illinois Democratic party chairs. He might be just the man to take over as Barack Obama’s Chief of Staff in 2011, just in time to help another young president prepare for his stretch run toward the 2012 election and find a way to diplomatically ease Israeli and US congressional intransigence regarding the future of the region. The picture of the Carters above is from my personal collection, taken during a visit I made to Plains to interview the Carters during the summer of 1981. Obama was 2 years old in 1963, when President JFK met with Shimon Peres, who was then Israel’s Deputy Minister of Defense. Thank you, Jim, for another excellent insightful article. By noting Israel’s early plans of acquiring ALL of Palestine, one notes their so-far successful strategy of “Take now and demand more later”. After “taking” Palestine (1948), it demanded from Arabs to recognize “Israel”. So, Arafat recognized Israel (1993) after Egypt and Jordan had done the same. The Zionists have taken the entirety of Palestine and all the remaining territories of Palestine by 1967. They have the recognition of 3 key players. The Arab and Islamic countries promised to do the same, if Israel returns the Territories for a 2-stae solution. So, Israel has “taken” all that and is now demanding that the Palestinians, the Arabs recognize the Zionist state as a “Jewish state”. A state for Jews only. In other words, anytime Israel feels that the Arab minority (20%) in Israel ‘Proper’ is increasing, Israel can force them out. If Greater Israel (since 1967) which comprises Israel ‘Proper’ and the Palestinian Territories (of the West Bank, East Jerusalem, Gaza) feels that Palestinians attain even a slight majority, they will resort to forceful expulsions, or any other methods. As Israel moves the marker, knowing that the other side will not accept, it gives itself even more time to bring in settlers and build more settlements. It does all seem hopeless, Israel is not constrained or limited by any power or principle. They are out for themselves and will not be stopped. How will the U.S. remind them that they are above the law, and out to gain power in the world.? Why are they entitled to unlimited lawlessness, the subjugation of a powerless people, and the constant theft of land? Why does the U.S.A. not arrest them? To reply to the question asked often, “why is Israel allowed to steal more and more of Palestine?” the answer is that the great majority of United States taxpayers are still ignorant of how much of their taxes are subsidizing Israel. They get most news from the channels which give bites of news and switch to entertainment. If they would get the hidden facts, then contact their Congress person with a protest at supporting one religion, very unconstitutional, change would happen, and justice be rendered to the Palestinians.